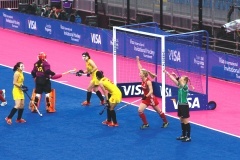 Another major event and, again, Harrod UK was selected as official supplier for the hockey, rugby sevens and netball tournaments. 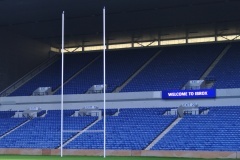 We were also asked to provide on-going technical support and faced one of our biggest challenges in helping turn the world-famous Ibrox football stadium into a rugby venue. One of the legacy venues of the London 2012 Olympic Games, the Lee Valley Hockey and Tennis Centre sits proudly in Queen Elizabeth Olympic Park. 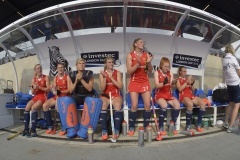 Due to our world-renowned status in hockey, Harrod Sport was selected to provide an array of equipment for the centre - and with it came a challenge which we were only too happy to rise to. London 2012 was one of the most successful Olympic Games in history. It captured the nation but also the world - from the amazing opening ceremony to the hugely popular Paralympics. Harrod UK was proud to be official supplier to the Games, providing innovative designs for the hockey event and equipment for the Olympics football competitions, along with equipment for the wheelchair rugby event and 5-a-side and 7-a-side football tournaments at the Paralympics. 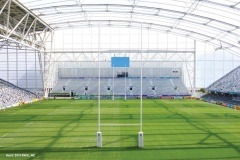 Installing 17-metre tall rugby posts within 40 tonnes of concrete at sporting venues known for football is the stuff of nightmares for groundsmen. However, this holds no fears for Harrod UK and our pro-active approach led to a focus group with groundsmen to allay fears and discuss requirements for the event.